It has been downgraded from category three to one but still has maximum sustained winds of 75mph (120km/h). 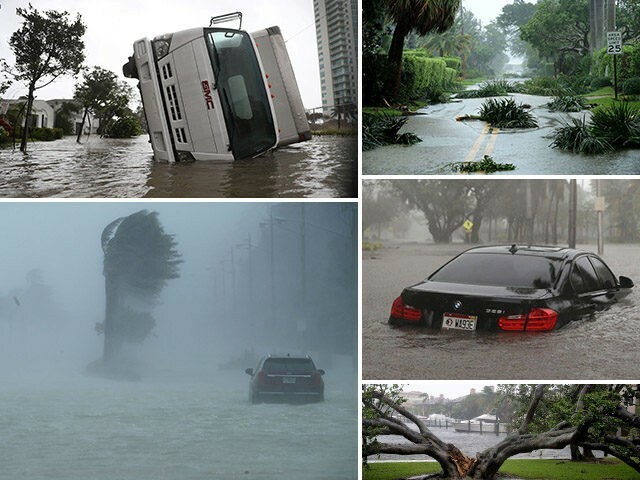 More than 3.4 million homes in the state are without power, with parts of the city of Miami under water. 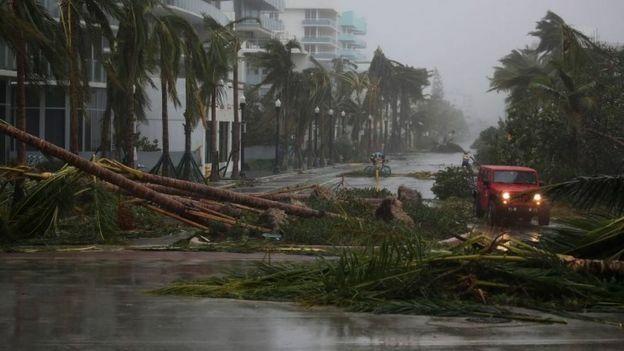 At least four deaths have been linked to the storm and several areas have brought in curfews. Florida's Director of Emergency Management, Bryan Koon, said late in Sunday he could not yet confirm or deny reports of multiple deaths and extensive damage. Search and rescue efforts are due to begin on Monday morning, he said. Irma cut a devastating track across 10 Caribbean countries and territories, killing at least 28 people there. Some 3m people live in the Tampa Bay area. The region has not been hit by a major hurricane since 1921. Irma is expected to weaken into a tropical storm over far northern Florida or southern Georgia later on Monday but first its centre will continue to move over the western Florida peninsula, the NHC said.